I am start this review of a Jaguar sports car in an unusual way… by admitting that I am a Porsche enthusiast. When Jaguar created the first generation F-type cars, their mission was to create a 911 killer. Jaguar came close with a striking design and the best sounding exhaust note you will find on a stock production car, but it wasn’t a 911 killer or a Boxster/Cayman killer even. 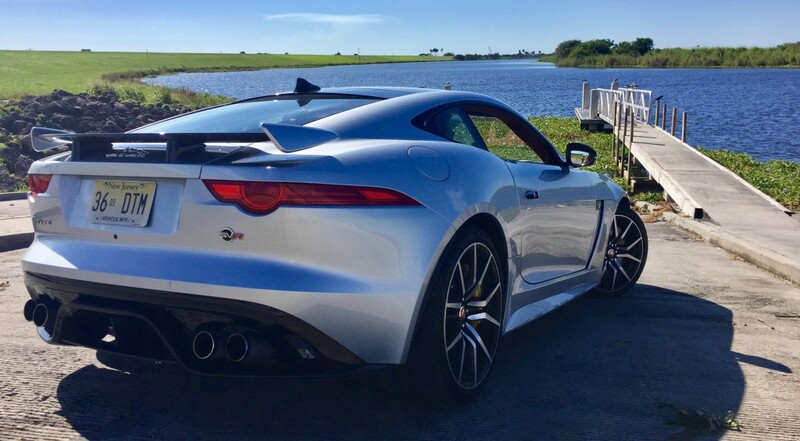 The regular F-Type is a car you take out for a relaxed Sunday drive along the country side or on a road trip while looking bad to the bone while driving it. It is stylish, sophisticated, and comfortable. Porsche sports cars on the other hand are all about performance, especially the S models. But now there is a new Jaguar F-Type available, one that truly is able to slay the German Beast, and it is is called the SVR. 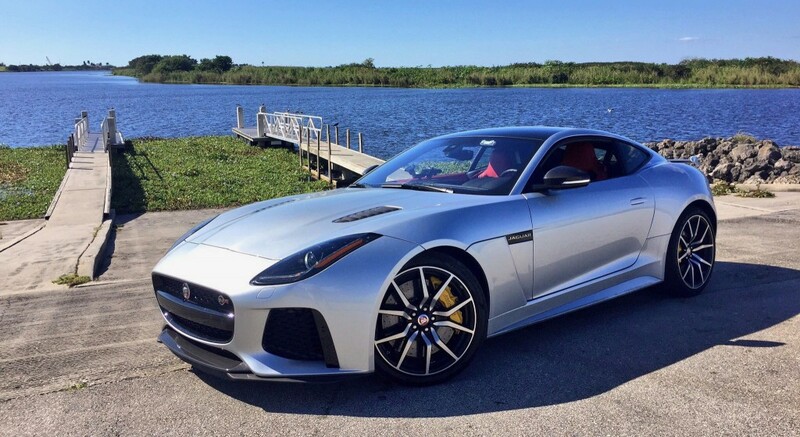 This limited production vehicle created by Jaguar’s “Special Vehicle OpeRations” department is capable of 200MPH. With a 0 to 60 time of 3.5 seconds versus 3.8 seconds on the 911 4S PDK, the Jaguar F-Type SVR truly is a 911 killer on paper. These numbers are all thanks to Jaguar’s ability to increase the horsepower to 575, increase the torque to 516, add all-wheel-drive for improved traction, and reduce the car’s weight by using lighter materials. It also comes equipped with carbon ceramic brakes, so you can stop almost as fast as you can accelerate. 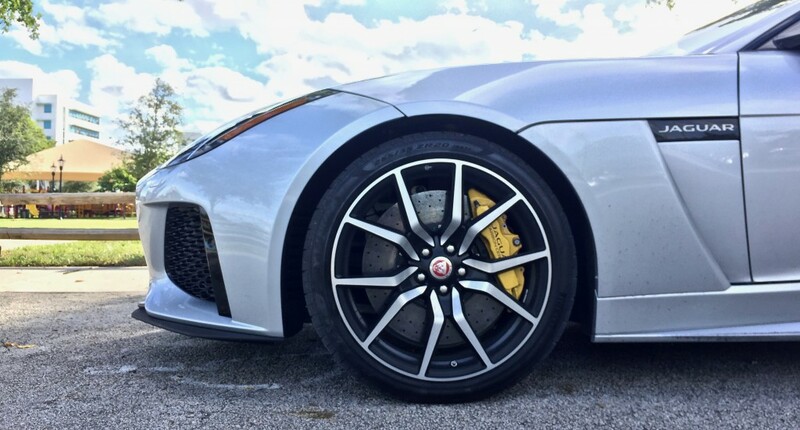 Note: Carbon ceramic brakes are constructed using different compounds versus traditional steal brakes. 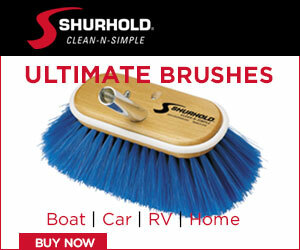 These advanced materials decrease stopping distance and reduce heat build up, which prevents brake fade. While lots of horsepower and quick acceleration times are a science, how a car makes you feel is an art form. This is another win for the Jaguar F-Type SVR. It is one of the most enjoyable cars I have ever driven – and I drive a new car every week. The way the car hugs corners and then accelerates out of a turn with a snarling exhaust note roaring out of the back is exhilarating! Then as you stomp one the brake pedal, you come to an immediate halt while experiencing a symphony of high performance internal combustion in the form of crackles and pops. The car gives you the sensation you are driving faster than you are because it engages all of your senses. And to make you feel confident behind the wheel, Jaguar has added torque vectoring by braking into the drivetrain. Even when the rear wheels brake loose around a turn, you feel as if you are in control of the entire process. Note: Torque vectoring adds to the turning forces of the car by applying the brakes or power to select wheels, thus increasing the speed of which you can safely go around a corner. The final piece of the puzzle if comfort and luxury. What is the point of driving a sports car if your body aches every time you get out of the car? Things like adjustable suspension and adjustable exhaust give the driver the option of peacefully cruise around town or hitting every apex on a curvy road as hard as possible. In addition, the seats were well engineered for both support while driving fast and comfort for long hauls. I took a day trip around Lake Okeechobee with no back issues whatsoever. Notes: The use of adjustable suspension on street cars allows you to transform the ride from soft for a comfortable ride and tight for improved handling. The use of adjustable exhaust allows you to close the baffles in the exhaust system for a quite experience or open the baffles for increase horsepower along with a loud exhaust note. True luxury comes into play as soon as your open the door of the Jaguar F-Type SVR. 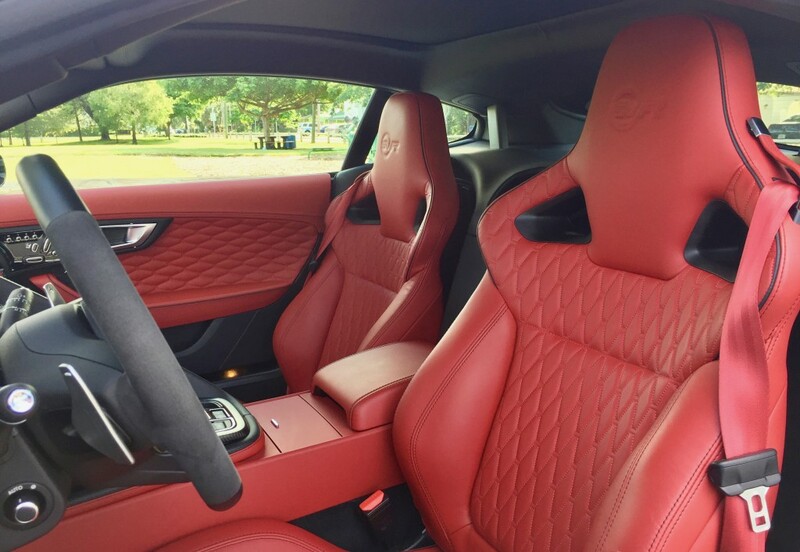 The red leather doors and seats of my test car were jaw dropping with diamond quilted stitching. 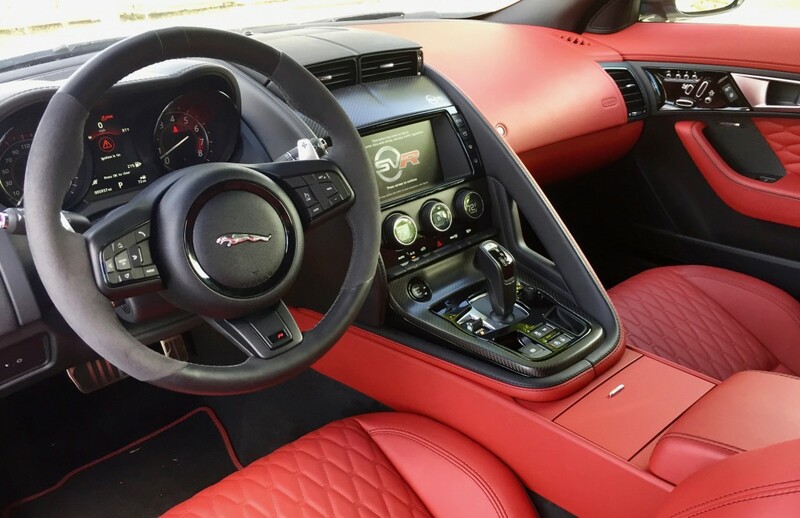 Black leather on the dash and ceiling accented the red leather seats to give it a sporting feeling. Carbon fiber trim throughout the vehicle and an alcantar wrapped steering wheel further enhanced the effect. So the question is, if I had $130,000 – $150,000 to spend on a sports car, would I buy the F-Type SVR or a Porsche 911? The Jaguar F-Type SVR all the way! 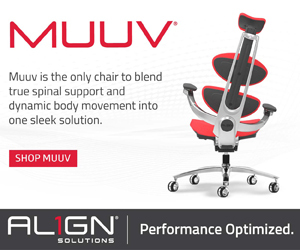 It is faster, more comfortable, and better looking. Visit your local dealer to learn more about the Jaguar F-Type SVR or click here to visit Jaguar’s website.